Sales Management. Simplified. (2016) takes a critical look at today’s troubled sales departments and offers a comprehensive plan on how to inject energy and vitality into your sales team. 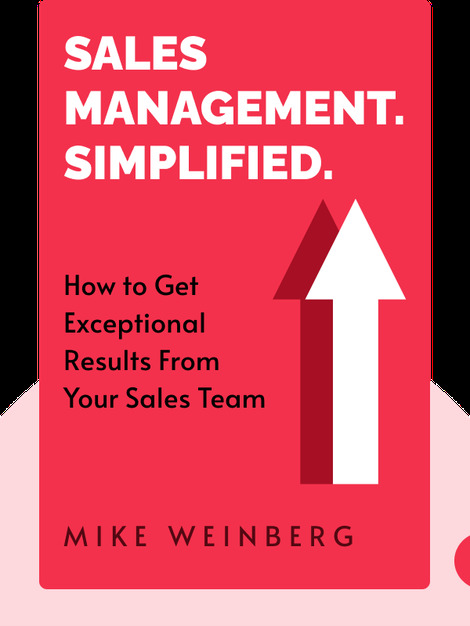 It runs through the most common and chronic problems and provides practical advice that any manager can follow to avoid pitfalls and turn a sleepy sales department into a strong and unified team. 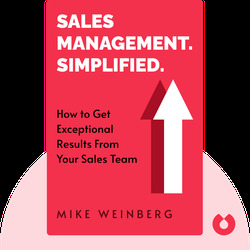 Mike Weinberg, a sales-management and business-development specialist, is a popular speaker and coach. He is also the founder of the consultancy firm The New Sales Coach, as well as the author of the Amazon bestseller, New Sales. Simplified.